Anyone and everyone is eligible and welcome to participate. 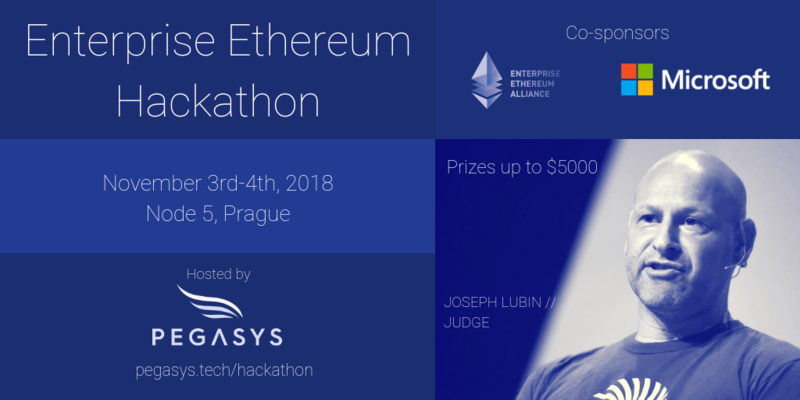 Please read the list of suggested challenges we put together along with our sponsors to get a sense of the types of projects we're looking for at this hackathon. You're welcome to use one of our items, alter it with your own ideas, or pursue a challenge not on the list (open challenge), but make sure to build in line with the judging criteria. (3) Team up! Please fill out your interests and add your names and team name here. (4) Create a slack group for your team so you can coordinate remotely. (5) Ask questions! Our PegaSys and ConsenSys mentors are available to help you along. 30%: How useful is this idea for enterprises looking to build on Ethereum? 20%: How technically challenging is the project?